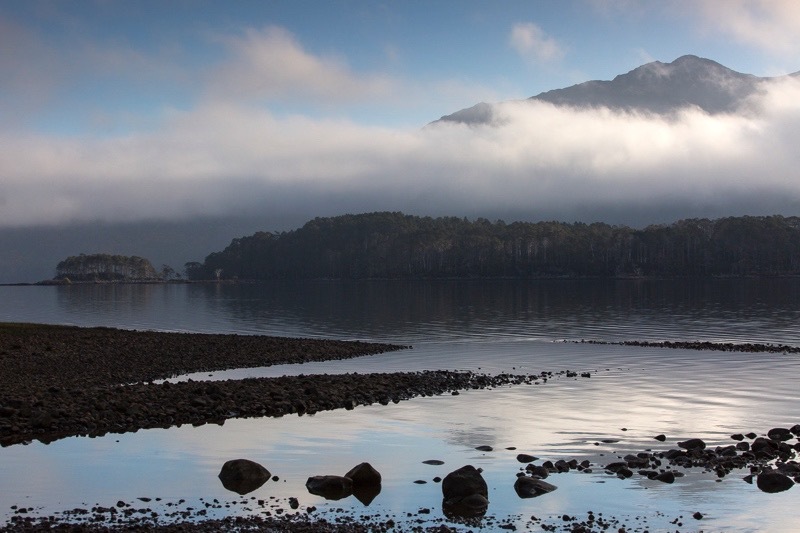 Scotland contains some of the most dynamic landscapes on the planet. We will be focusing on the two main hotspots, Isle of Skye and the Highlands. They are a landscape photographer's paradise! Join Andrew for an epic tour of Scotland, with a few bonus stops at some of the most beloved Scotch whisky distilleries. Scotland... a land of forests, mountains, rivers, sea, and waterfalls. It is easily one of the most dynamic countries on earth, and provides some of the most stunning landscapes and vignettes of nature for photographers. We will get 3 full days to explore the most scenic spots in all of the Highlands. The next three days will be spent on the unparalleled Skye. It was dubbed “Cloud Island” by the Norse. And an apt name it is for the famous Isle of Skye in Scotland. The convergence of mountain, sea, and sky make this large island a true photographer's paradise. The saying is more true here than anywhere I've been that "if you don't like the weather, wait 5 minutes." For us photographers, dramatic weather is what we like, and that is exactly what you get on Skye! Pre-workshop Personal Skype Session – Before all of our destination workshops, you can benefit from a personal Q&A Skype session at your convenience with Andrew, to ask any questions you might have about your upcoming trip. This is immensely helpful to get to know your instructor, and to making sure you feel prepared for the great adventure ahead! Welcome Packet - You will receive your personalized welcome packet 2-6 weeks before the workshop with maps, helpful local info, nature facts, FAQ’s, technical photography information on what we will be discussing, a comprehensive list of what to bring, and more! 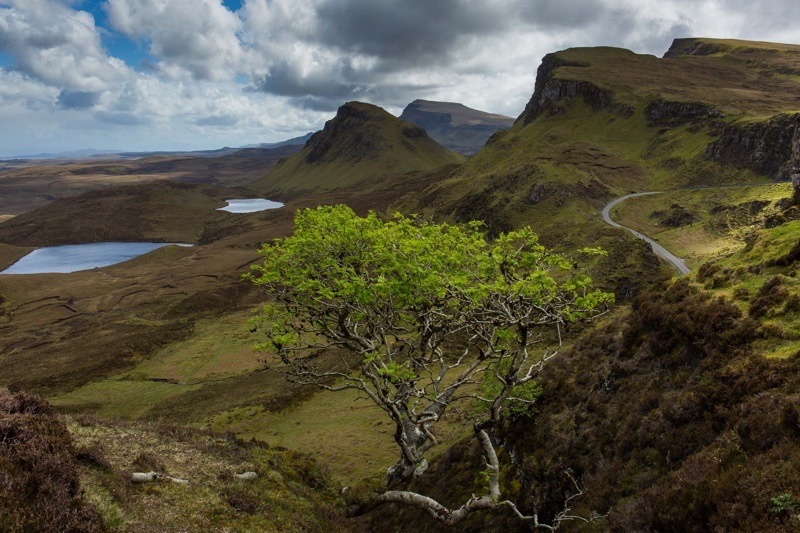 Numerous Guided Hikes – We will embark on at least one hike per day through the intensely beautiful landscape of the Scottish Highlands and Isle of Skye. We will explore the unique flora and fauna of the ecosystem, shooting anything and everything in nature, discussing a wide range of photographic tips and techniques, including scouting locations. 7 Nights Lodging, water, and snacks – While in the highlands, we will be staying at the sheik, modern Alt Nan Ros Apartments (cost includes double occupancy, though private rooms may be available at extra cost), and once on Skye, we will be staying at the luxurious Cuillin Hills Hotel or similar (cost includes double occupancy, though private rooms may be available at extra cost). Plenty of bottled water and snacks throughout the day will be provided. All meals, and any other expenses are the responsibility of each student. Andrew will provide options for the group to eat meals together. Transportation - All transportation during the workshop is included. Image Reviews + Post-Processing Instruction - We will spend some good time on image critiques plus help with post-processing and workflow. BONUS - Love Scotch whisky? We will embark on at least two classic malt distillery tour during our downtime to experience the pride of Scotland! What’s NOT Included? Meals are not included, though we will try to eat together as much as possible, since it's a great chance to continue talking shop. Transportation to and from our meeting point in Edinburgh is not included, as well as anything not specifically listed above. Travel insurance can be purchased separately, HERE, but not necessary. Activity Level - Moderate... We will be hiking 1-3 miles per day during this workshop, which will involve a few hours of physical exertion outdoors. Price - $5000 which includes your pre-workshop materials and Skype Q&A, 7 days of photography instruction, all park fees, 7 nights hotel lodging (Thurs. – Thurs. ), bottled waters and snacks in the field, transportation once workshop begins Thursday afternoon, and photo feedback and discussion sessions. As well as at least 2 whisky distillery tours. Transportation to and from Edinburgh, all meals, and any other expenses are not included. Class Size - This class will have at most a 4 to 1 ratio of students to instructor. A minimum of 2 participants is required for this workshop to occur. Discounts may be available for multiple people in one party, and friend referrals. 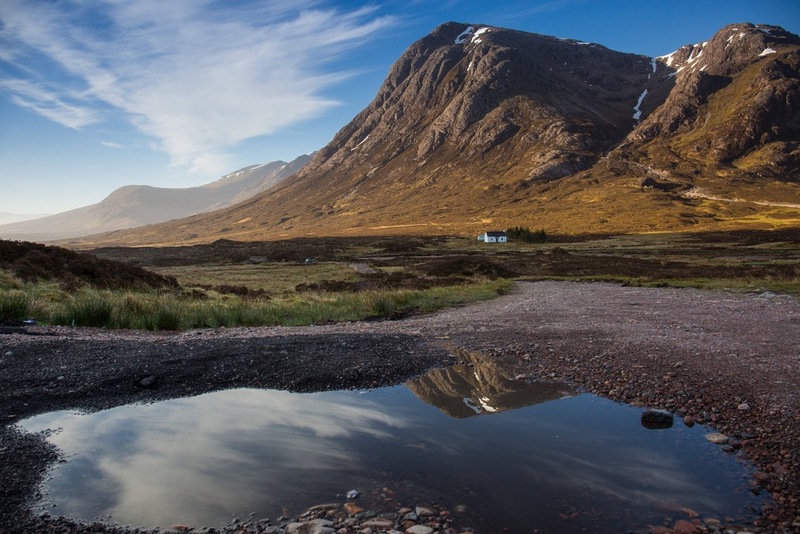 Travel - Glencoe and Portree will be our home bases for the workshop and is easily accessible. Inverness has it's own local airport, but it is also within a reasonable driving distance from one international airport, Edinburgh International Airport (EDI) which is 150 miles away (3 hr drive). There are many options to get to Inverness from Edinburgh including, train, bus, and renting a car... view up to date travel info HERE. Lodging - We will be staying at modern, private flats and/or hotels all 7 nights. The cost includes double occupancy, though private rooms may be available at extra cost to the student, depending upon availability. Just ask! Meals - Plenty of bottled water and snacks throughout the day will be provided, but breakfast, lunch, and dinner are the responsibility of the student. There are many restaurant options, and that is where we will tend to eat as a group, so please make arrangements with Andrew if you have special dietary needs. Transportation – Once we meet in Edinburgh on Thursday afternoon, Andrew will drive everyone in a van to each location. If you tend to get motion sick, please bring medication as some of the roads we will drive are quite windy. * Please see Terms and Conditions page for refund policy. Due to unpredictable changes in weather, etc., our schedule remains flexible and subject to change. However, our start and end times are set in stone so each student can plan their travel accordingly. Thursday, MAY 14 - We will be meeting at the Hilton DoubleTree at Edinburgh Airport (EDI) promptly at 3:00pm (GMT), we will then load up and hit the road. Please be sure to give yourself enough time to make it on time to our initial meeting, as we will have a few hours drive to our accommodations for Thursday night. Once we reach our hotel, we will get checked in, have an early dinner, then head out for our first evening shoot. This far north at this time of year, general sunrise time is near 4:30AM and sunset is around 10:30PM. Friday, MAY 15 - Rise (very) early to photograph sunrise at one of our morning locations. Break for breakfast together with discussion. Check out of the hotel, and then head up to Skye. We will get checked in to and settled in our accommodations for the next three nights, then meet up for lunch in Portree. Regroup at 3 or 4 to hike and explore for the next location to shoot afternoon/ evening light. Break for dinner together, then shoot the late sunset. Saturday, MAY 16 - Rise (very) early to photograph sunrise at one of our morning locations. Break for lunch together with discussion. We will retire to our rooms to rest. Regroup at 3 to head to Talisker for a tour of the only whisky distillery on Skye! Break for dinner together, then shoot the late sunset. Sunday, MAY 17 - Rise (very) early to photograph sunrise at one of our morning locations. Break for lunch together with discussion. We will head to the hotel to do post-production and discussion. Break for dinner together, then shoot the late sunset. Monday, MAY 18 - Rise (very) early to photograph sunrise at one of our morning locations. Break for breakfast together with discussion. Retire to our rooms for rest time. Regroup at 3 or 4 to hike and explore for the next location to shoot afternoon/ evening light. Break for dinner together, then shoot the late sunset. Tuesday, MAY 19 - Rise (very) early to photograph sunrise at one of our morning locations. Break for breakfast together with discussion. 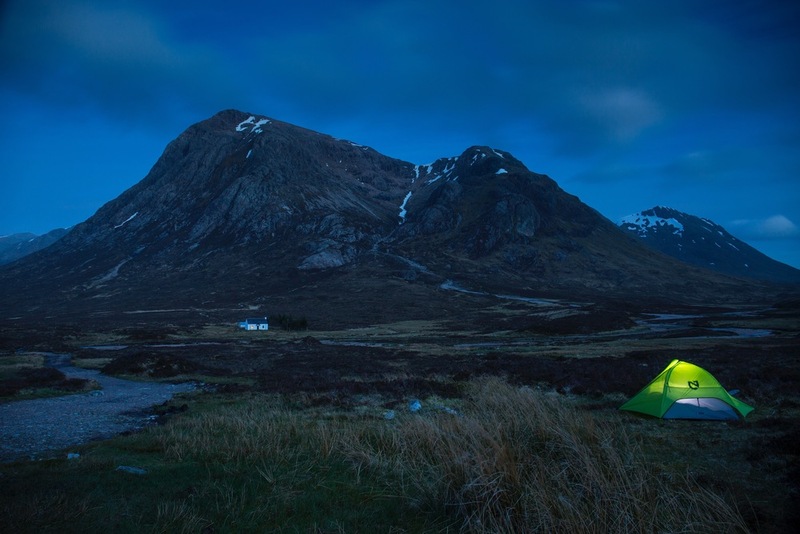 Check out of the hotel, and then head down to Glencoe. We will get checked in to and settled in our accommodations for the next two nights, then meet for lunch in Glencoe. After lunch, we'll rest a bit, then regroup at 3 or 4 to hike and explore for the next location to shoot afternoon/ evening light. Break for dinner together, then shoot the late sunset. Wednesday, MAY 20 - Rise (very) early to photograph sunrise at one of our morning locations. Break for breakfast together with discussion. We will spend a few hours at the hotel with our computers working on post-production and discussing digital darkroom workflow. Around 3, we head over to Oban to tour the west Highland's most famous and oldest distillery. We will then break for dinner together, and shoot the late sunset. Thursday, MAY 21 - Rise (very) early to photograph sunrise at one of our morning locations. Have breakfast together, check out, then begin our 2 hour drive back to Edinburgh. Once we reach EDI by 1PM (GMT), we will end the workshop with a fond farewell... until next time!